BARDSTOWN, Ky.--(BUSINESS WIRE)--The Bardstown Bourbon Company (BBCo) announced today that Castle Brands Inc. (NYSE American: ROX), the maker of Jefferson’s Bourbon, has joined BBCo’s Collaborative Distilling Program. Castle Brands will work together with BBCo to produce custom bourbon and whiskey for the Jefferson’s Bourbon portfolio. BBCo and Jefferson’s will begin their first distillation this year. Castle Brands is a developer and international marketer of premium and super-premium brands including: Jefferson's®, Jefferson's Presidential Select™, Jefferson's Reserve®, Jefferson's Ocean Aged at Sea Bourbon, Jefferson's Wine Finish Collection and Jefferson's Wood Experiments, Goslings® Rums, Goslings® Stormy Ginger Beer, Knappogue Castle Whiskey®, Clontarf® Irish Whiskey, Pallini® Limoncello, Boru® Vodka, Brady's® Irish Cream, The Arran Malt® Single Malt Scotch Whisky, The Robert Burns Scotch Whisky and Machrie Moor Scotch Whisky. Additional information concerning the Company is available on the Company's website, www.castlebrandsinc.com. To learn more about the Jefferson's line of spirits, please visit www.jeffersonsbourbon.com, or follow the brand on Instagram (@jeffsbourbon), Facebook (Jefferson's Bourbon) and Twitter (@JeffsBourbon). 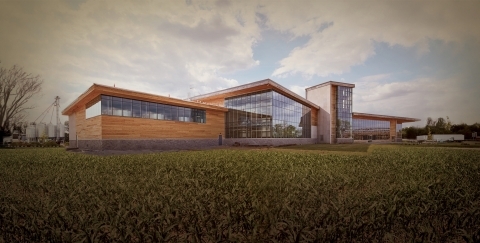 Bardstown Bourbon Company announced today that Castle Brands Inc., the maker of Jefferson’s Bourbon, has joined its Collaborative Distilling Program.